What does 100 percent renewable really mean? It’s election season. And a number of candidates across the country are running with a 100 percent renewable energy platform. In Colorado, the Public Utilities Commission recently approved Xcel Energy’s ambitious plan to nearly double the share of electricity it generates from renewable sources. Xcel said the changes would reduce its carbon pollution in the State by 60 percent and increase its share of renewable energy to almost 55 percent, up from about 28 percent now. While the 100 percent platform is admirable, meeting those targets will be extremely challenging. And do we need more renewable energy to help reduce carbon pollution? Absolutely. But what does 100 percent renewable really mean? What can renewable energy truly replace? People seem to believe that if we can reach the goal of 100 percent renewable, we will no longer need fossil fuels. However, at this point in time, renewable energy really only replaces power generation. It does little, if anything, for transportation – at least I am not ready to get on an airplane that runs on solar energy. It doesn’t replace at all the thousands of products we use every day that rely on fossil fuels for their manufacture and transportation. And what about other conveniences we all love, like gas cook tops and gas fireplaces? Renewables are needed and necessary, but they are only one part of the larger energy picture. In the same way our bodies rely on multiple systems – nervous, circulatory, respiratory, etc. – to bring us the energy we need everyday, all forms of energy depend upon each other to supply our daily needs. None of us is going to wake up tomorrow morning and proclaim “Today I think I only need my brain and my lungs, everyone else can take the day off”. We all know that the lungs cannot perform the same functions as the heart and the brain can’t take over for our bones and muscles. 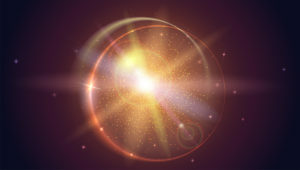 In the same way, each energy source is needed and has a place in the larger energy picture. The wind and the sun may be renewable sources of energy, but the capture and use of those sources is not a renewable process. Wind and solar use fossil fuels to not only build giant turbines and solar farms, but they use petroleum-based plastics, composites and other materials for solar panels and frames, wind-turbine blades, nacelles, generators and towers. 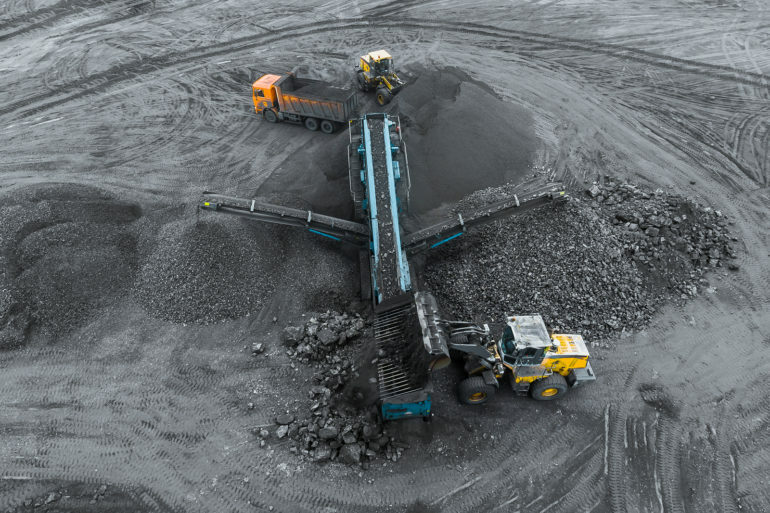 In addition, heavy machinery is needed to remove tons of rock and earth to extract millions of pounds of lithium, cobalt, rare earth and other exotic ores for photo-voltaic panels, wind-turbine magnets and backup batteries. Many of the monitoring systems used in the production of fossil fuels use solar panels to power their equipment. Several oil and gas companies are now using electric rigs, which given Xcel’s move toward increased renewables, would then be powered with electricity generated from solar and wind farms. The energy conversation is confusing, complex and emotional. But we need to start learning how to have an “and” conversation, not an “either/or”. Our energy use and sources will evolve over time, like most things do. Cars didn’t suddenly arrive on the scene with seat belts, rear view mirrors, airbags and other technological advances that we see today. They EVOLVED over time. And energy will evolve as well. But it’s up to us to start looking at energy with a more holistic point of view and to understand the costs and benefits of all forms of energy. Perhaps then, we can start having conversations that are realistic and productive, instead of polarizing and emotional. Are meals that arrive in a box worth the cost? Curiosity finally got the better of me. After hearing everyone in the office rave about having meals delivered directly to their home, I decided that maybe I was behind the times. Yesterday I received my first delivery, but I wasn’t prepared for what I actually received. My thoughts? Packaging – Wow…everything is in it’s own little baggie, even things someone who never cooks would probably have in their kitchen, like 2T of vinegar. And items that even the most culinary challenged person would readily recognize, like an avocado, were in a bag with a label stating that it was in fact, an avocado. The proteins were in vacuum sealed packages that were then placed in another ziplock baggie. The onions were already diced and in a plastic jar and the lemon needed for one recipe was, again, inside a ziplock baggie labeled lemon. Is all this superfluous packaging really necessary? The box is super heavy duty cardboard and there is jute insulation, made from recycled material – commendable. And there were two freezer packs to keep everything cold. One of them fit in my freezer for future use, but there was no room for the other. And I wondered if I got a box a week, what I would do with all of those packs? Recycling – To be fair, all the baggies do have language that instructed me to rinse them out, collect them and then go to the website to find out where I can take them (you mean drive them?) to be recycled. It appears that most of their plastic is #4 plastic, #5 for the plastic cups, and all I have to do is find a place close to me where #4 and #5 plastic products can be recycled. Ironically, the most common place to take the #4 plastic is my nearest grocery store. The #5 plastic, however, has to be taken to the nearest municipal recycling facility. The jute insulation can be taken to the nearest municipal composting facility, which may or may not be where the recycling can be taken, and the paper bags can be reused, placed in curbside recycling or composted at home. And the freezer packs, well, if you don’t have room in your freezer, simply collect them and donate to a local charity. 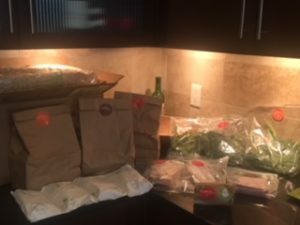 Footprint – The website happily tells me that “You skip a trip to the grocery store, and your food gets a shared ride to your home. XYZ company boxes almost never travel alone, which minimizes our fuel use and overall carbon footprint.” No need to call out the company I used, I think they all pretty much share the same philosophy, but really? Whether it arrives at your doorstep or you drive to get it, fuel is being consumed. And given that I now have to drive all over town to get the packing to the correct recycling facilities and the freezer packs to my favorite local charity, just how much fuel is really being saved? Convenience – I guess I am lucky in that I like to cook and don’t find it all that challenging. But if I didn’t know anything about cooking, I would find the instructions incomplete and confusing. And I found that it took me longer to prepare and I used WAY more pans than I normally would cooking for myself. In short, I didn’t find it convenient at all. Perhaps if I was learning how to cook, it would teach me something about flavors and ingredient combinations, but overall, I was frustrated. And how convenient is driving all the recyclable materials around town? I discussed my box with my co-workers to get their opinion. Most just liked the variety and the fact that they don’t have to “think” about what to have for dinner. And most didn’t bother with the recycling. From a personal footprint perspective, I think taking some cooking classes, watching a few YouTube videos and stretching your imagination is much more rewarding and much gentler on the planet. Like everything, food in a box has its costs and benefits. But in this case, I think the costs far outweigh the benefits. And I didn’t find it convenient at all. With the United States pulling out of the Paris Climate Agreement, the concern over carbon emissions is growing. The production and burning of fossil fuels is the main focus of what needs to change, but what about our own everyday habits? Ninety-six percent of everything we do everyday is fossil fuel based. This includes far more than driving our cars and heating our homes. What about the clothes you wear, the food you eat, the toys you buy your kids or the online shopping you do? They all require fossil fuels. 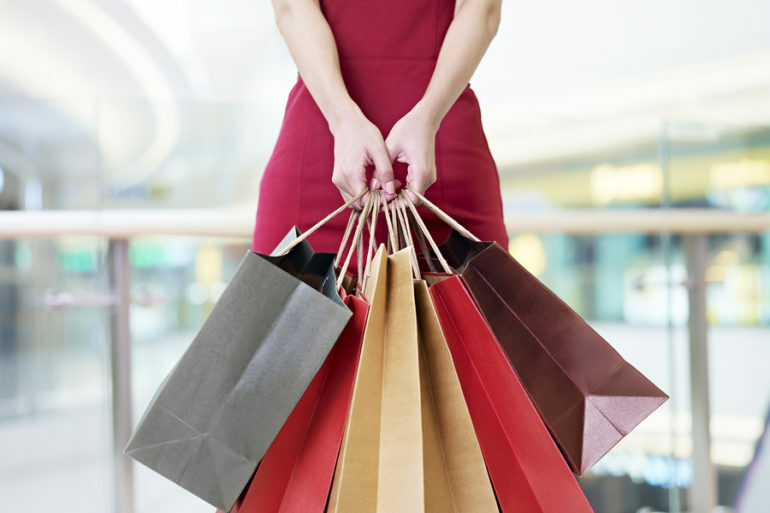 The article below talks about the rise in Chinese consumption and the effects it may have globally. Yet, predictions are that by 2020, Americans will spend approximately $15 TRILLION dollars on consumer goods. By comparison, in 2020 it is estimated that the Chinese will spend $6.5 trillion. China has four times as many citizens but we will outspend them by more than double. What impact are our everyday habits having on the carbon emissions? What changes can you make today? Wondering if there is a solution to lithium ion battery storage for solar and wind? Wondering if there is a solution to lithium ion battery storage for solar and wind? A centuries old technology may fill a needed gap in clean energy. And could give a boost to communities that have been hard hit by the reduction in coal mining. A win/win on many fronts! Click Here to learn about some interesting new “old” technology!